Human Nation was formed in the spring of 2009 by guitarist/composer Adam Levine, bringing together some of the best musicians from California’s central coast and quickly became a local favorite and has an ever-growing loyal fan base. They have performed at most of the major venues in the area to enthusiastic, standing room only, crowds. They have also performed at the San Luis Obispo Jazz Festival with Pancho Sanchez and will be playing at the world famous Baked Potato in Los Angeles Feb 5th. Human Nation is comprised of Adam Levine on Guitars. Adam grew up in the suburbs of Baltimore, and was enthralled with the Rhythm & Blues sounds of urban city radio. At age 11 he got an electric guitar and formed a band. When he was introduced to the music of Brazil it sparked a curiosity for music from other parts of the world that has remained with him to this day. His guitar influences include Wes Montgomery, George Harrison, Jim Hall, Jimi Hendrix, Jeff Beck, Eric Clapton, Andres Segovia and Antonio Carlos Jobim. Adam has studied at the Berklee School of Music in Boston, at Aspen Music School in Colorado and privately with Joe Pass and Ted Greene. Adam has done session work with artists on Capitol, Warner Brothers, and Motown Records. His commercial credits include McDonalds, Taco Bell, and TV shows such as “Cheers,” “Simon and Simon,” and “Wings.” Adam’s extensive teaching experience includes being an instructor and director of the Grove School of Music, teaching at the Musician’s Institute and currently a recognized teacher at the National Guitar Workshops. His students have gone on to play with stars such as Nora Jones, George Benson, and Celine Dion. For more about Adam visit him on FaceBook. Playing sax is Ron McCarley. Ron is currently the director of jazz studies at Cuesta College where he has built the program up to include two big bands and eight combos. His bands have received many awards under his direction. He has been teaching college level jazz for twenty years and has judged at many festivals including the Reno International Jazz Festival and the Monterey Next Generation Jazz Festival and presented at CMEA, JEN and NFA about jazz education. A saxophone player and a doubler, he does studio work, appears as a featured artist and plays around Central and Southern California. Some of the musicians he has performed or recorded with are: Diane Schuur, Manhattan Transfer, The Temptations, Hanson, Chicago the musical, Adam Benjamin, Larry Koonse, Hubert Laws, Jim Walker, Holly Hoffman, Mark LeVine, Darek Oles and Charlie Shoemake. While he is trained in a variety of musics, he is best known for playing jazz, fusion and Brazilian choro. He and his wife Laura live in San Luis Obispo, California with their four children. Sitting in on sax is renowned composer / performer, Danny Pelfrey. Danny has won two Emmy Awards (nominated nine times), six BMI Awards, and a Video Premiere Award. He has been the score composer for numerous television shows including American Dreams, Spin City, Felicity, That’s Life, Strong Medicine, Guiding Light, and many others. He also composed the score and produced the songs for DreamWorks’ Joseph King of Dreams, as well as over 50 interactive game titles including the Star Trek series for Activision. His concert works have been performed by the Knoxville Symphony, the L.A. Jewish Symphony, and the National Symphony Orchestra. He has shared concert programs with John Williams, Elmer Bernstein, Andrew Lloyd Webber, Igor Stravinsky, and Charles Ives. His compositions and arrangements for broadcast media can be heard in most major markets domestically and around the world. As a song producer Danny has worked with Usher, Brad Paisley, LeAnn Rimes, Ashanti, Kelly Clarkson, Alisha Keys, and many others. He also is the lead composer and producer of his own catalog Amusicom. As a musician, Danny has performed and recorded with Carole King, Diana Ross, Tower Of Power, Eric Clapton, Melissa Manchester, and many others. Danny is currently working on an animated film for worldwide release. 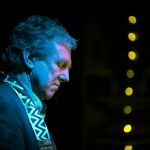 Also in the lineup is Brett Mitchell on keyboards. Brett began his professional music career at the age of 14 and began composing at 16. He attended New York University’s School of the Arts where he studied songwriting with Paul Simon, wrote songs with Melissa Manchester, and was a member of the BMI musical theater workshop taught by famed Broadway conductor Lehman Engel. Brett has self-produced several CDs. While under contract to Etherean Music for a number of years, he was nominated for “Best Instrumental Recording” by the National Association of Independent Record Distributors (NAIRD) for his CD, “Inspiration.” He has composed the main theme for the San Luis Obispo International Film Festival. 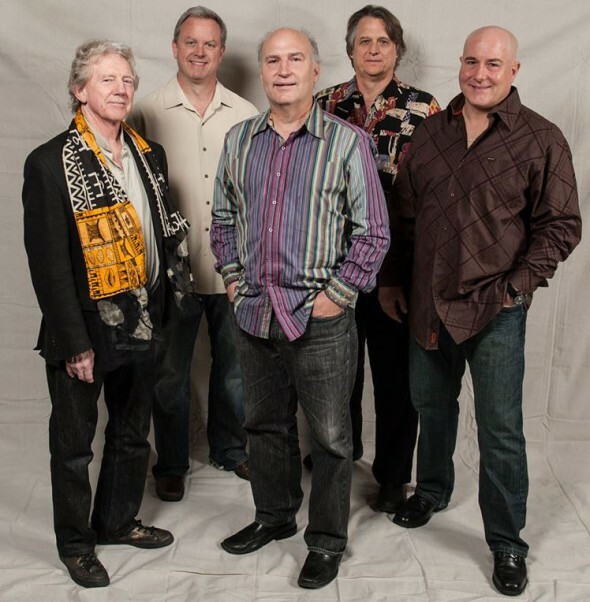 Adding to the HN family is Bill Wingfield on bass. Bill’s first gig at 16 years old was with an 18-piece big band. After a career outside of music, in 1999, he returned to music full time: teaching, performing and composing. Bill has been an instructor of the bass course at the National Guitar Workshop in LA. He currently plays shows and teaches on the Central Coast. In 2009 Bill completed his first jazz CD, “Shadows In Time” which won a SLO New Times Award in the Jazz category. All members of Human Nation made contributions to the recording. 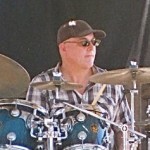 Also included is drummer and percussionist, Dean Giles. Dean is an award winning honors graduate and former instructor at the Musicians Institute in Hollywood California, Dean has had the opportunity to work with many successful artists including; Jean-Michel Byron (Toto), Rhona Bennett (en Vogue), film composer and smooth jazz artist Noel Webb, Grammy Award winner Louie Ortega, film composer Ralph Carter, The Mills Brothers, Korean superstar Lee Seung Chul, Rob Rio and the Revolvers, Kenny “Blues Boss” Wayne, Jackie Lomax, Becky Barksdale, Zaidee Cole and others. Dean has also recorded music for several TV shows projects including “Dancing with the Stars” films for the “Showtime” network, radio and TV commercials and other independent films.For more information visit Dean at www.deangiles.com. Also on percussions is Darrell Voss. Darrell is a percussionist and educator and has been active as a professional musician for more than 30 years. He has been teaching at Cuesta College since 2000, and is a key member of the jazz faculty and applied music program. He has performed or recorded with hundreds of musicians. The list of performers include Inga Swearengen, Vocalogy, Royal Garden Swing Orchestra, George Stone, Phil Crosby Jr., Don Rader, Andy Martin, Lanny Morgan, Gary Foster, Charlie and Sandy Shoemake, Mundell Lowe, Diane Schur, Kate Reid, Matt Falkner, Louie Ortega, Freddie Ravel, Holly Hoffman, Mike Wafford, Luther Hughes, Bob Randall, Marian McPartland, Mike Melvoin, Bob Summers, Bill Cunliffe, Red Holloway, Kye Palmer, Jeff Elliot, Marvin Hamlish, SLO Symphony, Mozart Festival Orchestra, Doug McDonald, Bruce Forman, Danny Weiss, Bob Santacruz, Kenny Loggins, Jim Messina, Micheal McDonald, Jay Graydon, Bill Champlin, Jason Schef, Jeffrey and Gabe Kahane, Karin Allison and more. Darrell continues a busy schedule of performing and educating on the West Coast. He received his undergraduate degrees from Cuesta College and a Bachelors Degree in Music from Cal Poly State University, San Luis Obispo. He has been fortunate to study with jazz greats Jeff Hamilton, Charlie Shoemake and Steve Houghton, classical teachers Ross Sears and Paulene Soderholm. Darrell has rounded off his music education by participating at Stanford Jazz Workshop, USC Masterclasses, and PAS, and NAJE events. Human Nation’s music is diverse and exciting, drawing on the samba of Brazil, urban funk, a touch of Americana and the straight ahead bebop sounds of jazz. You’ll hear the influences of Pat Metheny, Tower Of Power, Steely Dan and Miles Davis. All members of Human Nation contribute to song writing. Visit the band at http://www.human-nation.com/ or join their group on Facebook. To purchase their MIGRATION CD, click here.